Meg enjoyed catching up with an old friend on Friday June 22nd. Meg met Travis 4 years ago when they both came to Nashville around the same time. 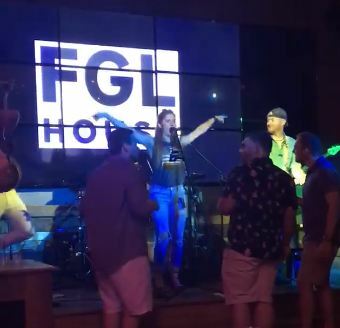 Travis invited Meg up to play with the Nashville Nobodies, on Broadway at Tequila Cowboy, and later to play with his band at FGL House! It was a great night! A few days later Travis invited Meg back to play with the Nobodies on 4th of July on Broadway. Meg accepted and had an awesome time. 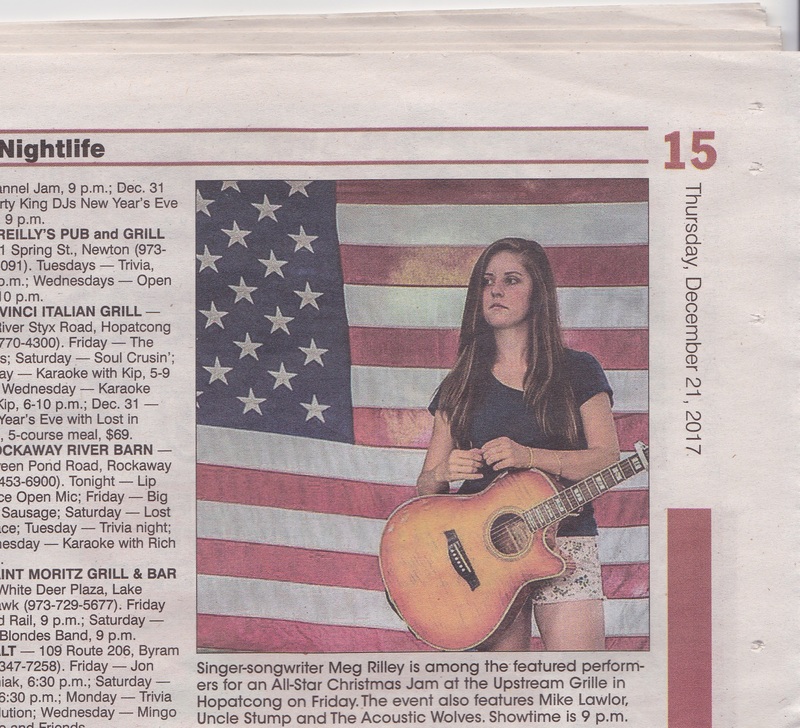 As advertised in the NJ Herald, the Upstream Grille in Hopatcong will host an All-Start Christmas Jam this Friday December 22nd starting at 9. 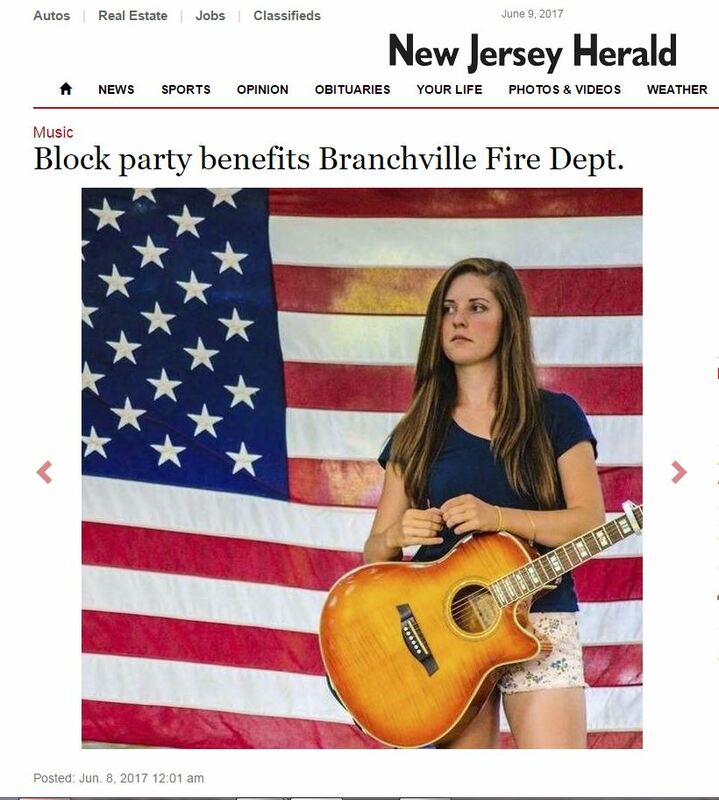 The house band will be Mike Lawlor, Don Guinta, Brian Lawlor and Paul Kuzik.. 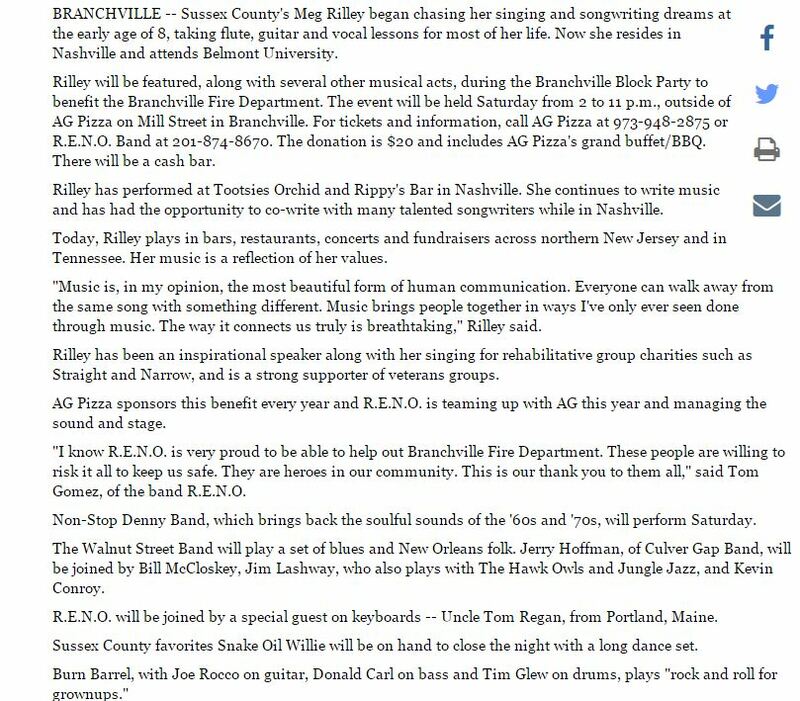 Joining them throughout the night will be Danny Blomster, The Acoustic Wolves(Jeff and George),The knotty G’s aka Gill and Chuck, Meg Rilley, Scott Heath and Paulie Derin(Uncle Stump). 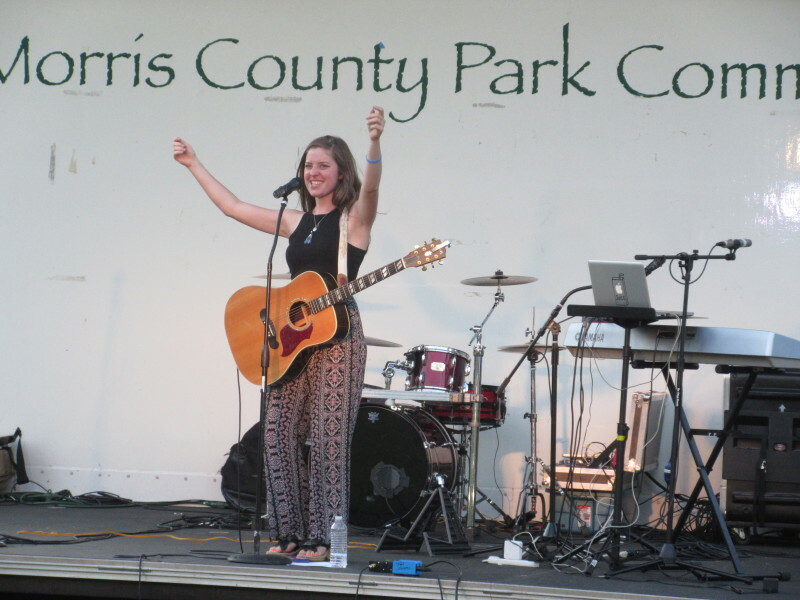 Meg Rilley rocked the house Friday night, bringing the first night of the New Jersey State Fair to a close with a bang. Rilley performed 2 of her originally written songs and one cover with the backing of the band. See the media link for a replay of the night! 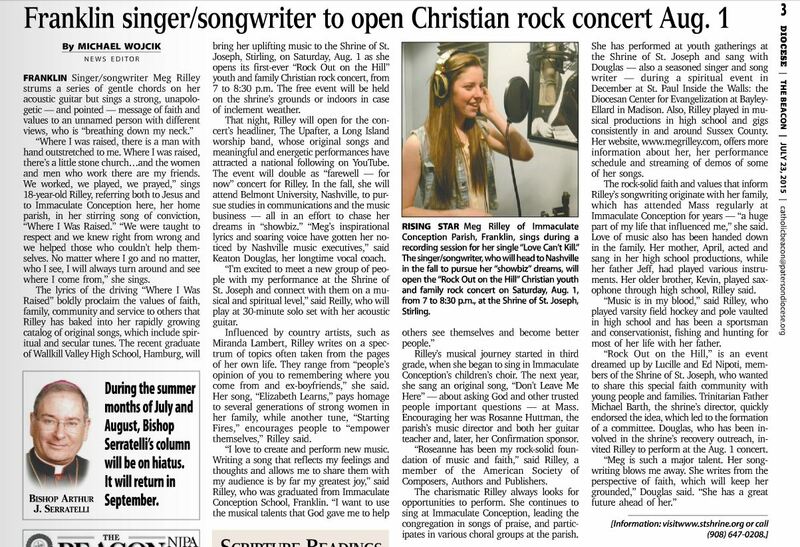 Rilley is a singer/songwriter living in New Jersey and attending school in Nashville. 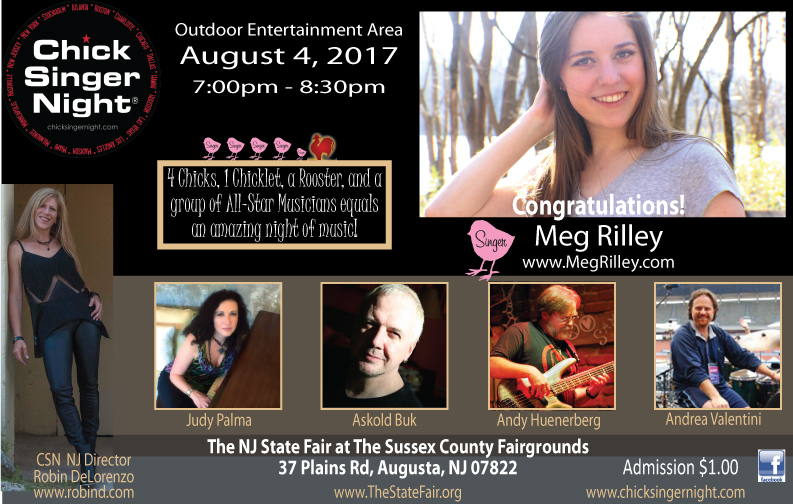 Meg Rilley has been selected to close the show on opening night of the NJ State Fair at the Augusta Fairgrounds on August 4th. The contest involved submitting live performance and recorded material to the organizers of the event. Robin DeLorenzo contacted Rilley to inform her that she had won a slot on the show. Rilley will perform two original songs and one cover, all with full accompaniment by a band of seasoned performers. Rilley, who was honored to have been selected, was thrilled to be ‘closing’ the show on the 4th. “Starting Fires” – new EP out! 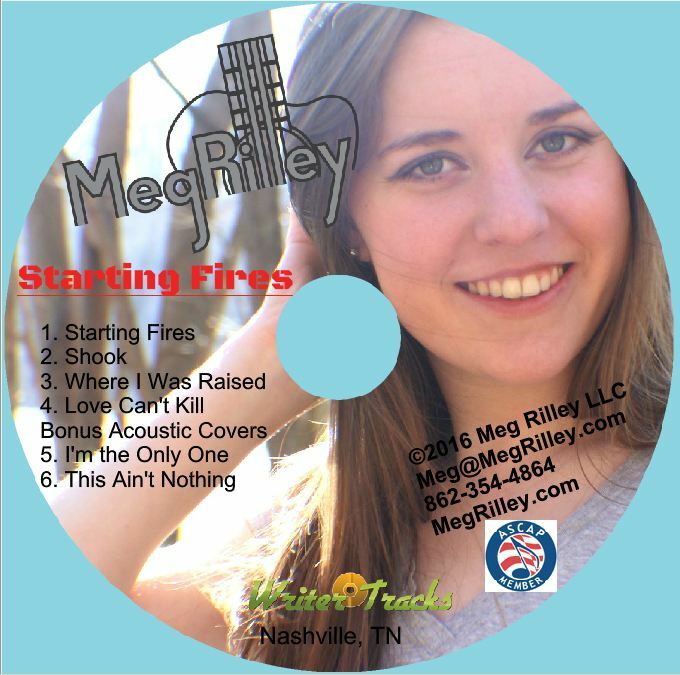 Meg Rilley’s EP ‘Starting Fires’ is out on CD now! Pick up a copy at any of the shows she is playing. 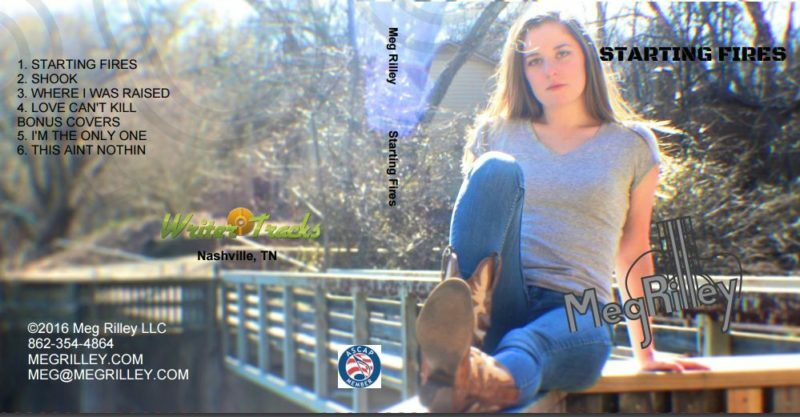 Meg Rilley will join her Belmont college peers in performing at the “Christmas in Belmont” television program hosted by Kathy Matea this year. This PBS special will air around the country during the month of December. 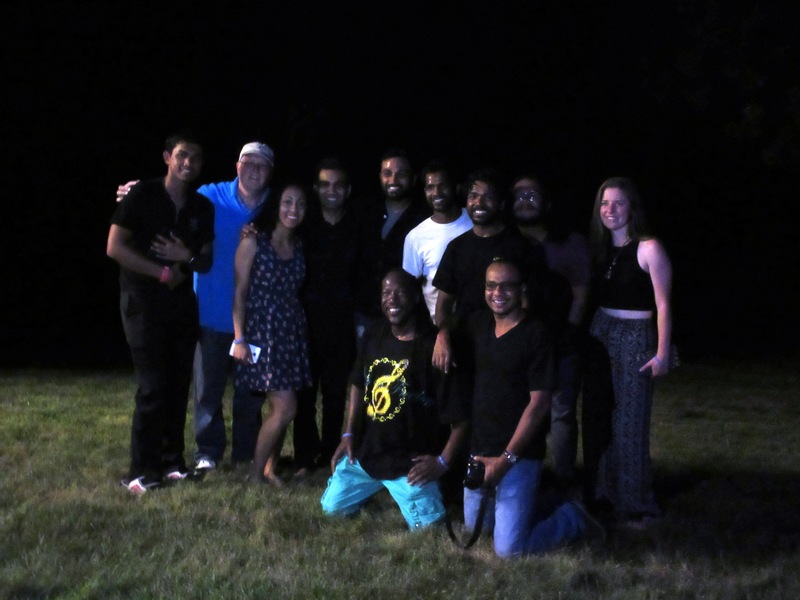 Meg Rilley opened for the group The UpAfter at the Shrine of St Joseph in Stirling NJ on August 1st. The crowd was amazing all night and everyone had a great time.